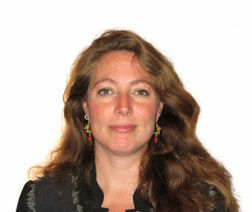 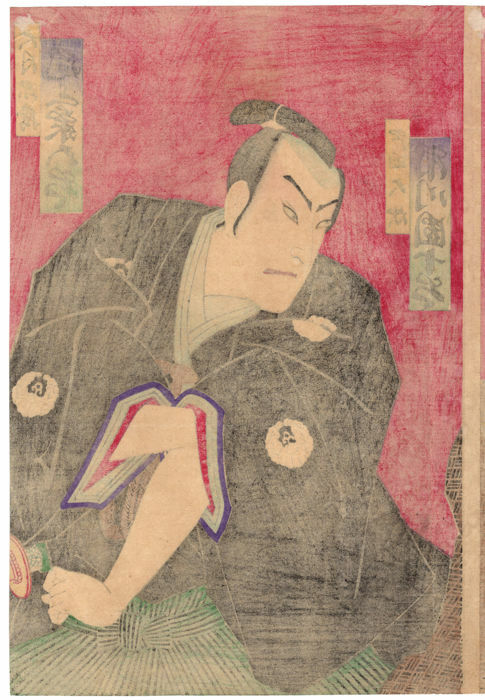 Kabuki is, first of all, an "actors' theater", centered on real stars specialized in different characters, even before the plots of the performances (Olimpia Ellero). 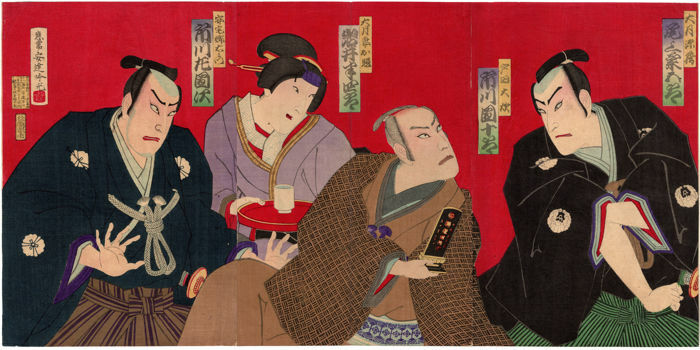 This statement is well suited to this precious triptych made in 1879 by the artist Adachi Ginko. 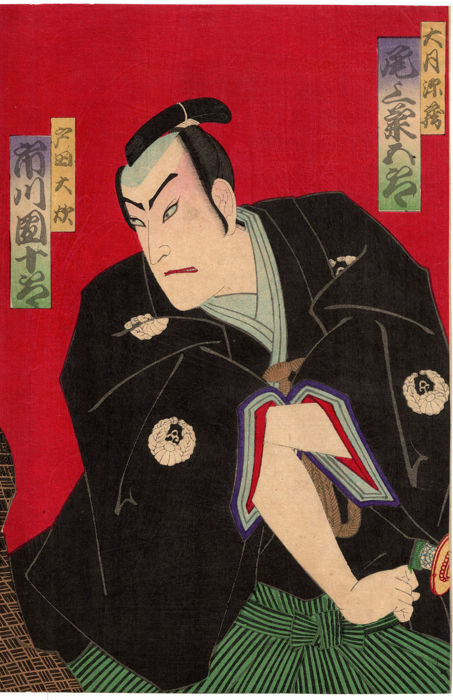 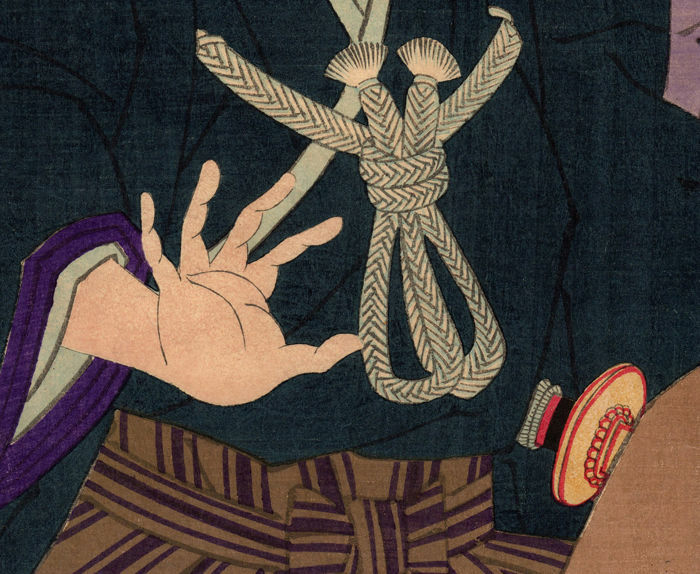 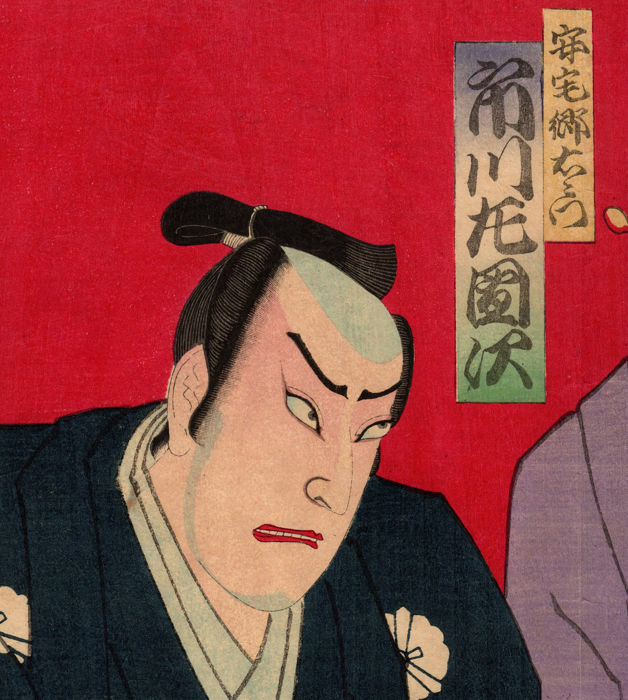 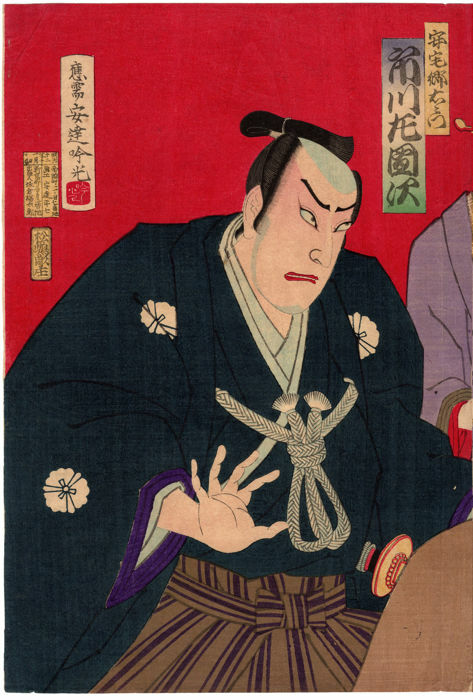 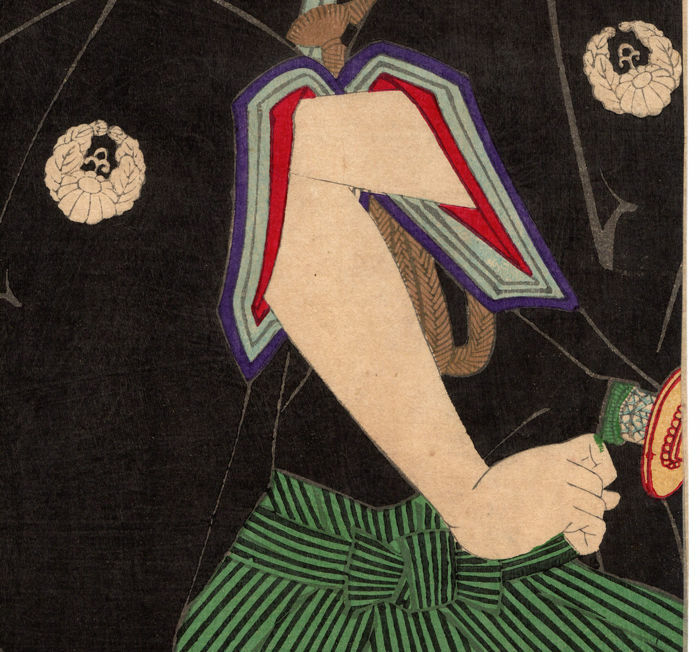 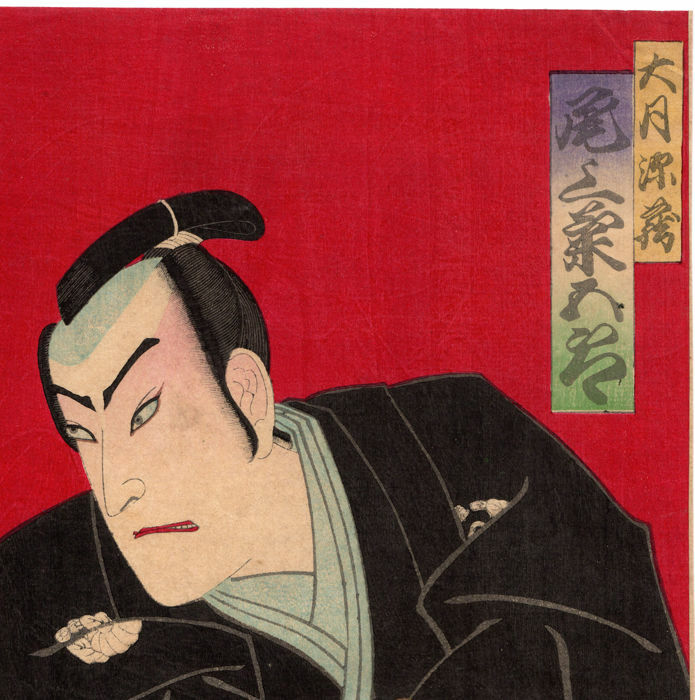 In the woodblock prints are in fact reported the names of four famous actors: from the left Ichikawa Sadanji, Iwai Hanshiro, Ichikawa Danjuro, Onoe Kikugoro; respectively in the roles of Ataka Goemon, Oteru the Otsuki's wife, Toda Oi, Otsuki Genzo. 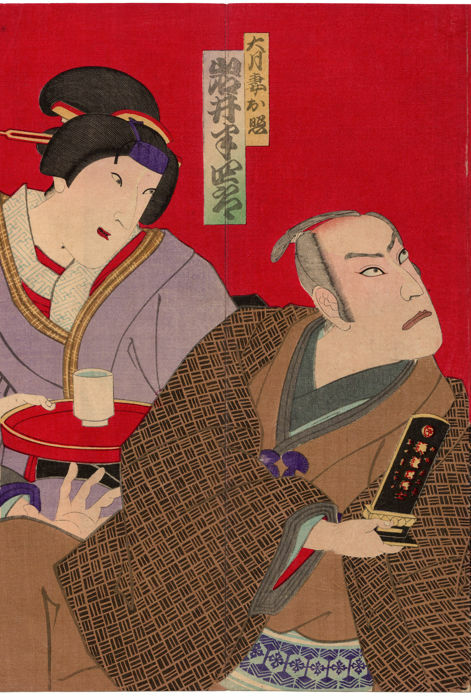 The fame of the aforementioned actors, however, over time has overtaken the notoriety of the characters they interpreted and, in fact, in this specific case it is difficult to reconstruct both the title and the plot of the theatrical work that involved the previously mentioned characters. 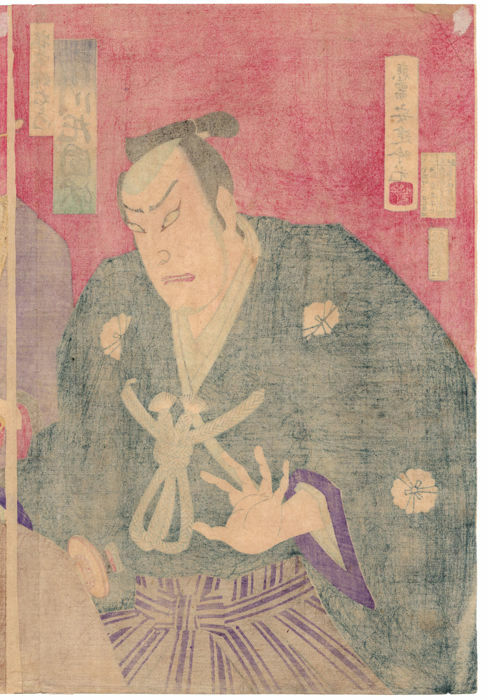 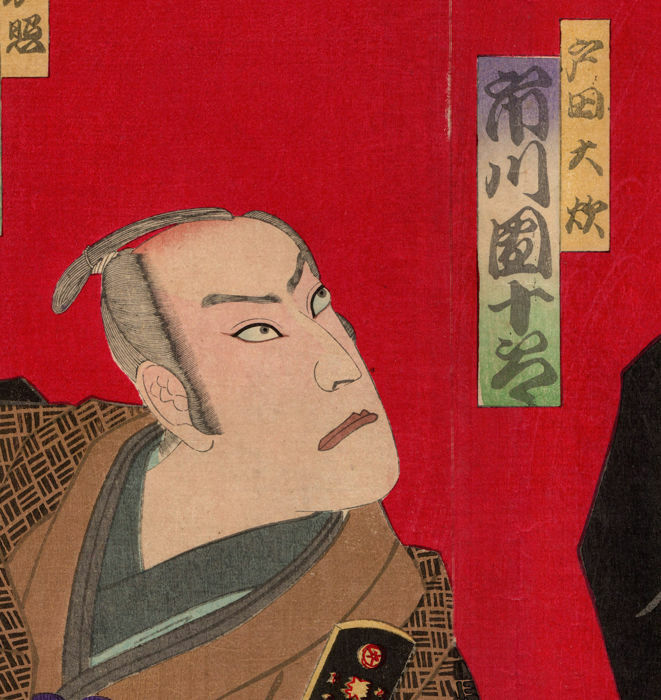 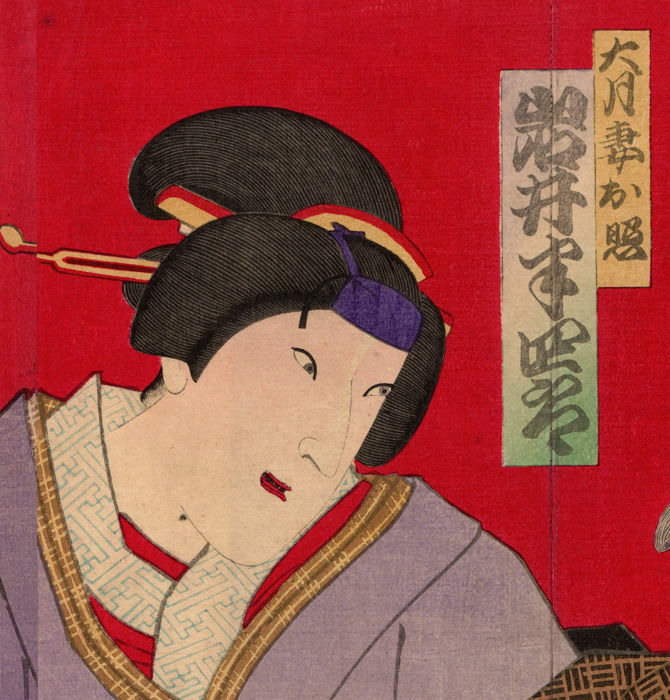 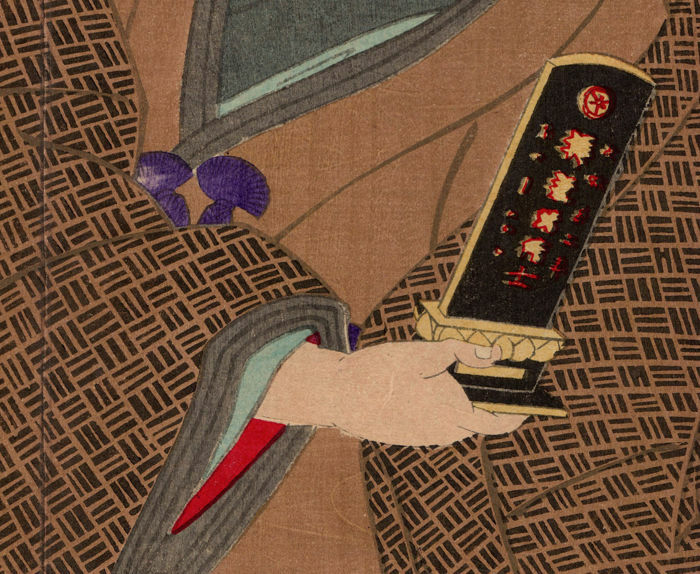 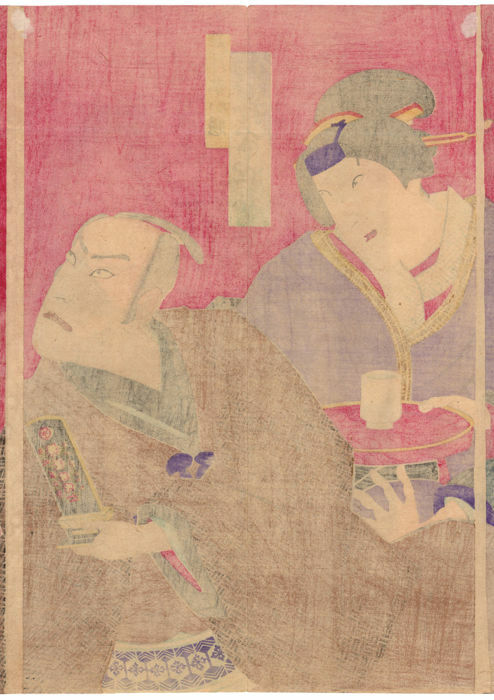 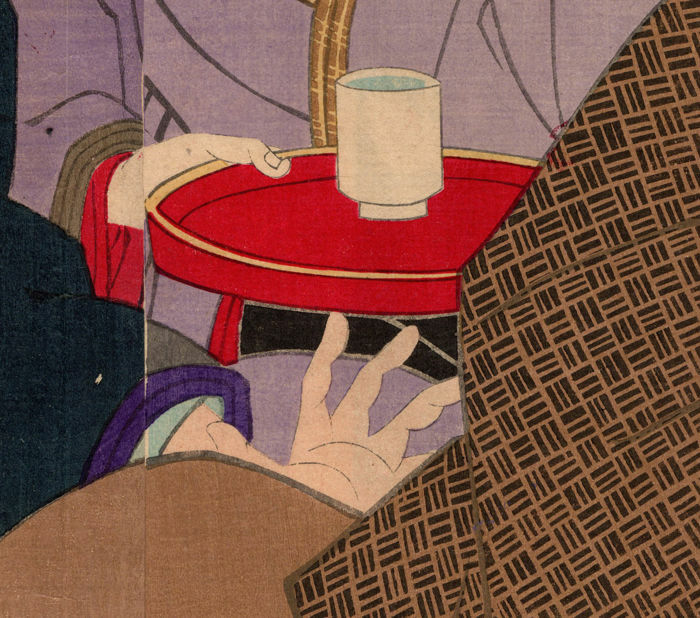 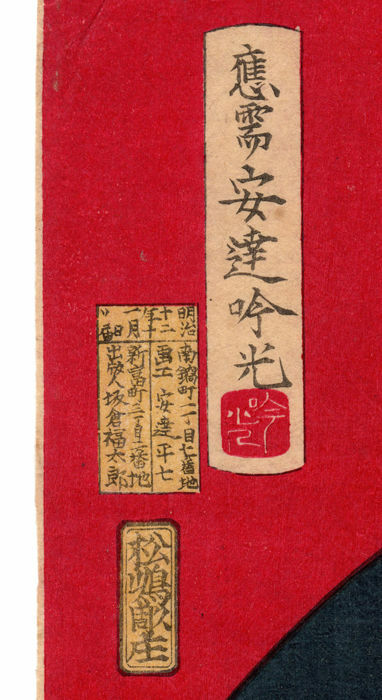 The triptych, of the type "shibai-e", that is "images of actors during the scenic event", consists of three prints glued together that, despite the right signs of the time, are in excellent general condition.